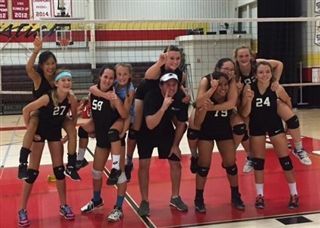 Congratulations to the Middle School 'A' Volleyball Team on winning the South Coast Middle School League's North Section Championship! On November 3rd, the team defeated Tri-City Christian 2-0 and Santa Fe Christian 2-1 to take the title. The girls face The Bishop's School on Thursday for a shot at being named San Diego league champions. Good luck, Firebirds!